Expect to see Hobbits, Orcs and Ogres when JRR Tolkien's fantasy novels are celebrated in Birmingham on September 5 and 6, 2015. The Middle Earth Festival takes place at Sarehole Mill in Colebank Road, Hall Green, between 11am and 5pm each day. Enthusiasts will dress accordingly for medieval combat displays and local history camps. There will also be a farmers' market, archery displays, crafts and children's activities. But why is a celebration of Middle Earth, the fictional land created by Tolkien in The Hobbit and The Lord of the Rings, being held in Birmingham? I went to Sarehole Mill to find out. Writer John Ronald Reuel Tolkien lived as a boy, from 1896 till 1900, in Wake Green Road, a stone's throw from Sarehole Mill. The house is still in use as a private residence. 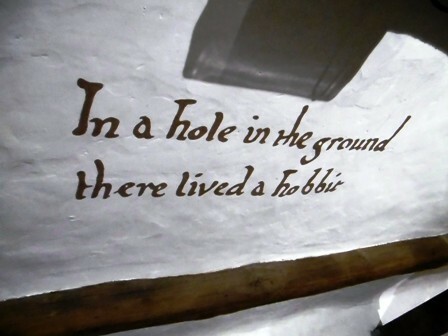 Tolkien's memories of the area fired his imagination when he wrote his books – it is said Sarehole was the model for 'The Shire', the home of the Hobbits. Hobbit alert: Part of the Tolkien exhibition at Sarehole Mill. 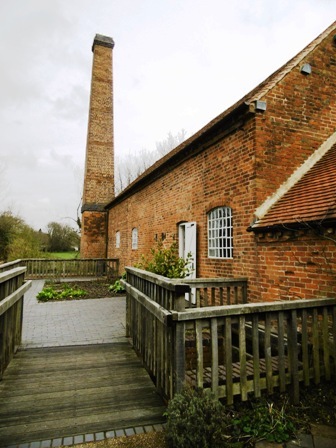 Inside the mill, which has a newly restored working water wheel, is an exhibition detailing its history and its connection with Tolkien. It reveals that JRR and his brother, Hilary, played around the mill and the surrounding fields, with miller George Andrews Junior recalling that they were 'perishing little nuisances'. George's father, George Senior, was dubbed 'the White Ogre' by the boys because he was often covered with white dust and shouted at them. A local farmer, who regularly chased them off his land, was nicknamed 'the Black Ogre' and is believed to have been the inspiration for Farmer Maggot in The Lord of the Rings. Inspiration: The mill pond with Tolkien's former home in the background, top right. Outside the mill is a magnificent pool, fed by Coldbath Brook, which turns the water wheel. Tolkien had a favourite willow tree near the pond. He loved climbing it but was distraught when it was cut down and left on the ground to decay. Did this memory inspire the end of The Lord of the Rings when the travellers return and find their special tree has gone? 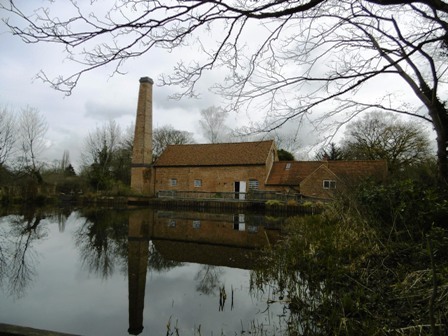 In later years Tolkien revisited his childhood haunts and was distressed to see that Sarehole Mill had fallen into disrepair. An appeal to save it was set up in 1965 and the required finance was soon raised. It opened to the public on July 2, 1969. 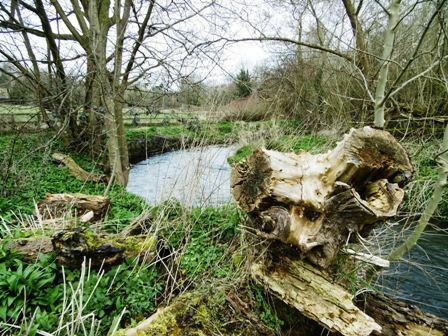 Areas around the mill are worth visiting as they are places the young Tolkien would have explored and are thought to have inspired aspects of his novels. New name: Shire Country Park. The Shire Country Park was so named in 2005 to reflect the Tolkien connection. 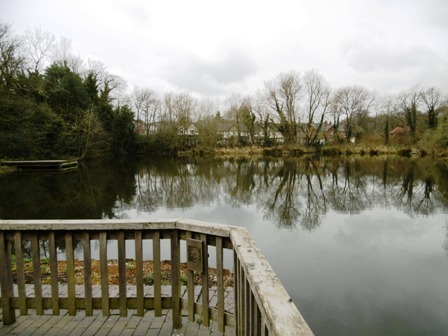 The park follows the valley of the River Cole for four miles from Small Heath to Yardley Wood. A popular place for dog walking, it's a mix of woodland, wetland, open green areas and heath. Close to Tolkien's former home in Wake Green Road is an entrance to Moseley Bog. Once the larger of Sarehole's two millpools, it was drained and is now a Local Nature Reserve. It would have been a paradise for the Tolkien brothers who must have spent hours having adventures there. Today you can still imagine the effect it had on the young boys – birds sing, squirrels rustle among the fallen leaves, water gently bubbles. Trees that have been felled or knocked over remain on the ground, gradually returning their goodness to the earth. 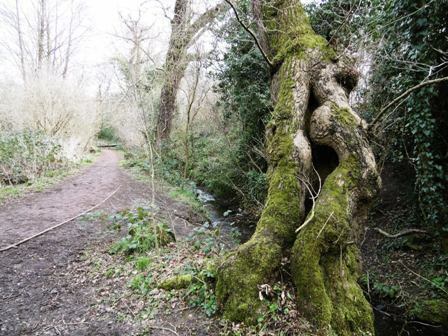 Tolkien is said to have recreated Moseley Bog in The Hobbit and The Lord of the Rings as the 'Old Forest', near The Shire, the home of Tom Bombadil. So, if you like Tolkien's works a visit to Sarehole Mill and Moseley Bog is a must. When I was there I met fans from Australia and America. One of the guides told me he had recently welcomed tourists from Vietnam, Poland, Germany and Scandinavia. All had made the pilgrimage to the inspiration for The Hobbit and The Lord of the Rings.